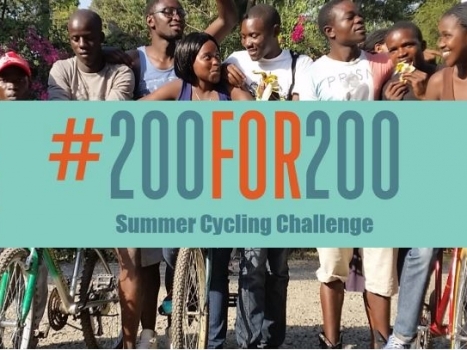 Some exciting things are happening around the #200for200 Summer Cycling Challenge. We’ve reached our halfway point, new teams are forming each week and our World Record Breaking rider and #200for200 supporter has just broken his first world record and will soon head off to attempt his second. On the morning of July 26, 2017 Jonas Deichmann (#EurasiaChallenge) set a new world record! He arrived in Ufa, the capital city of the Republic of Bashkortostan, Russia, and, in so-doing, completed the fastest bicycle ride across Europe ever–6450 km in 25 days, 3 hours, and 38 minutes–beating the former World Record by almost 5 days. 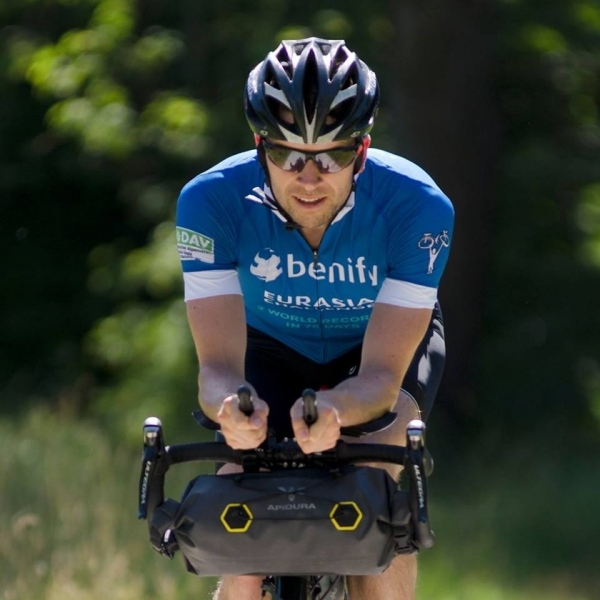 As of July 27th he will be continuing across the Ural Mountains and into Siberia in the pursuit of history’s first bicycle ride across Eurasia. CONGRATULATIONS, JONAS! 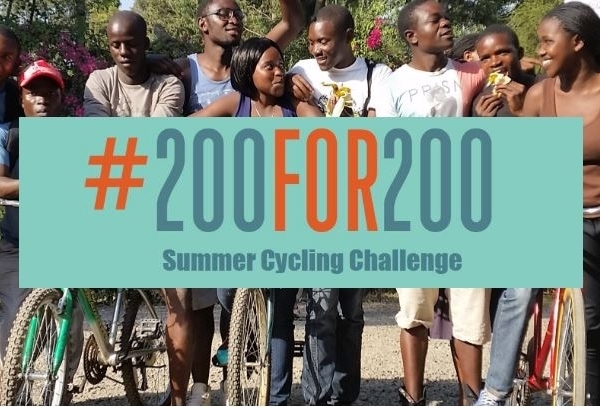 Thank you for supporting the #200for200 Summer Cycling Challenge with this incredible feat. So far we’ve raised almost $5,000, which translates to 25 new bikes for donation–big thanks to all our donors and challengers thus far! We’re a long way from our goal yet and we still need your help. Every donation counts. 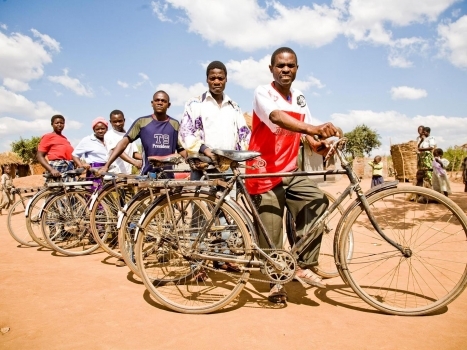 Every $200 raised buys another bike for someone in need. 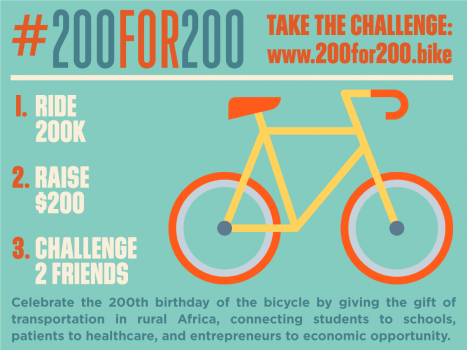 Please help us spread the word by sharing the challenge far and wide with friends and family, through social media channels, and with anyone in your network you feel might be willing to help us get there. 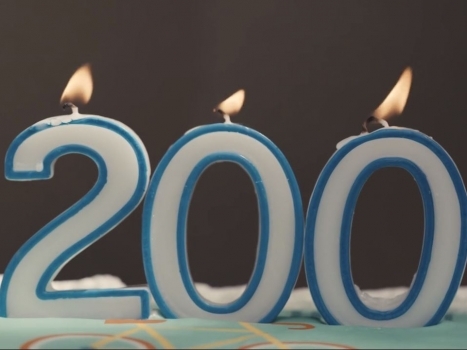 #200for200 Comes to a Close – Thank You Everyone! WHAT’S A BIRTHDAY PARTY WITHOUT PRESENTS?